Piera Van de Wiel is a British Actor, Singer and Producer living in New York City. She has performed with the Off-Broadway theatre company the Classical Theatre of Harlem with reviews from the New York Times, TimeOut and Stagebuddy. Piera is also an entrepreneur and has founded 2 companies this year. She joins Natasha Nurse on Our Voices to share her journey as a creative. Natasha Nurse talks with Jackie Schwartz, an award-winning filmmaker. In 2014, she co-created, produced, and sold a digital series called Rare Birds of Fashion, which champions the plus-size community and female entrepreneurs. Since then, she’s produced multiple web series and short films, which have premiered and won awards at various festivals throughout the country. Jackie is a board member of Realize Your Beauty, an organization dedicated to promoting positive body image to youth through theater arts. She currently lives in New York City & is working on her memoir: I Only Came for the Food. Before starting Compass Operations, Patrick Bergin served in global operations, integration and quality roles within multi-billion-dollar global companies where he focused on delivering significant ROI by transforming the business operations through workflow automation, process engineering, productivity management, quality control and providing effective leadership through intense change management programs. As a Partner and Executive Vice President, Tom Catalano is a business expert with more than 20 years’ experience in operational development and management. Patrick & Thomas joins Our Voices to share their origin story of Compass Operations and what is necessary for business success in today’s business world. What is the Missing Link for Businesses? Raegan Sealy is a poet, singer, rapper and the founder of Sound Board NYC, a non-profit that brings rap, writing and performance opportunities to undeserved communities. A fierce champion of social change through the arts, Raegan draws on her own experiences of overcoming sexual abuse, addiction and domestic violence in her work as an artist and advocate. Raegan is a 2018 TED Resident, a 2017 TNP Scholar, a 2016 P.E.O International Peace Prize winner and a 2015 Fulbright Scholar. She is based in NYC but talks, teaches and performs around the USA. Raegan joins Our Voices to share her story as an artist and entrepreneur. Keith Kirkland is the Co-founder of WearWorks, a company that builds products and experiences that communicate information through touch. Their first product, WAYBAND™, is a haptic navigation device for the blind and visually impaired. And they used it to help a person who is blind run the first 15 miles of the NYC marathon without any sighted assistance. Keith is a mechanical engineer, accessories designer, and industrial designer with experience developing innovation-based concepts and experiences. He has worked with organizations ranging from the MET Museum, The Cooper Hewitt Design Museum, Unilever, Futureworks, Discovery Channel, TED, Dropbox, The Yokohama Government, Coach and the National Science Foundation. He is deeply excited about re imagining the future of tactile design while expanding the human ability to sense the environment. Keith joins Our Voices to share how WearWorks will change lives. Natasha Nurse talks to Brian Fried, who has his own portfolio of inventions that he has licensed and manufactured as well as other inventors products that he represents, which made it or are going into mass retailers, catalogs, online retailers, as seen on TV, home shopping channels, etc. He is the Founder & President of Long Island Inventors & Entrepreneurs Club through the Small Business Development Center, a division of the Small Business Administration. He has authored a resource guide for innovators, inventors and entrepreneurs called "You & Your Big Ideas" & "Inventing Secrets Revealed." He founded and Hosts a live weekly online radio show called Got Invention Radio since 2009, interviewing high profile inventors and resources for inventors. Natasha Nurse talks with Sharon Devonish Leid, CEO of NetStruc PR, Celebrity Publicist, Speaker, TV Host and Author. Sharon has over 20 years of experience in Public/Media Relations and she is an expert in Community Engagement. Her mission is to ensure that each client gets featured in media outlets and is connected to the right contacts that will help them grow. Sharon joins Our Voices to share her tips and insight on being a successful publicist. Lesley Jane Seymour is a media entrepreneur and founder of CoveyClub, a new club for life-long learners launched in February 2018. CoveyClub allows women 40+ to bond over issues of interest and concern through virtual salons or topics in the CoveyClub monthly magazine, which is written and produced by the best journalists around the world. CoveyClub also offers a daily blog, weekly podcasts with women reinventing themselves and a special list for high-level one-on-one networking. In January 2008, she was named Editor-In-Chief of More Magazine, the leading lifestyle magazine for women over 40. and Editor-in-Chief and Social Media director of More.com. In July of 2015, Seymour created history by having the First Lady of the United States, Michelle Obama, guest edit an entire issue. In 2012, Seymour was named Executive Director of Meredith’s Beauty Center of Excellence; in 2009 she was named number four on the 2009 Most Powerful Fashion Editors List by Forbes magazine. Lesley joins Our Voices to share her entrepreneur journey to founding the CoveyClub. Host Natasha Nurse shares practical tips to help you effectively goal set and ensure that 2019 is an unforgettable year. Daniel J. Lloyd is a social entrepreneur with 8+ years of experience in helping with the development or creation of Not-for-profit enterprises that focus on solving targeted problems within society. Presently, in his capacity as Associate Director of Long Island Citizens for Community Values (LICCV), a 501(c)3 organization that has been committed to protecting Long Island’s Children and Families in the Digital Age for nearly 25 years, Daniel designs solution-based programs that work to protect children & families in the Digital Age. Spanning topics such as Screen Time Management, Digital Dependency, early access to obscene material and Cyber-Bullying. Daniel founded Minority Millennials Inc., a 501(c)3 not-for-profit organization that focuses on tackling disempowering narratives around minority communities and mobilizing millennials with the tools needed to become the next generation of change-makers in public policy. Daniel joins Our Voices to discuss what currently matters most to Minority Millennials. What Do Minority Millennials Currently Need? Sarah Madras empowers and educates audiences with a fiery passion to motivate people to create fulfilling lives. She joins Natasha Nurse to talk about her mission to revolutionize the way people live, work, love, and lead. Founder of Esteem Builders Coaching, Sarah's reputation is built on her ability to explore difficult topics with compassion. As a licensed mental health therapist her education in the science of human interaction and mindset mastery combined with 14-years of working directly with individuals and organizations makes her an expert at teaching interpersonal and leadership skills for achieving success. Host Natasha Nurse shares her story as an entrepreneur, media personality, and content creator, the lessons learned from hundreds of interviews and how to become a content creator. Rudy Breedy is a Long Island native with an extensive and celebrated career in the non-profit sector. His work with organizations like the March of Dimes Birth Defects Foundation, Boys & Girls Club of New Rochelle and the Bon Secours Warwick Health Foundation! 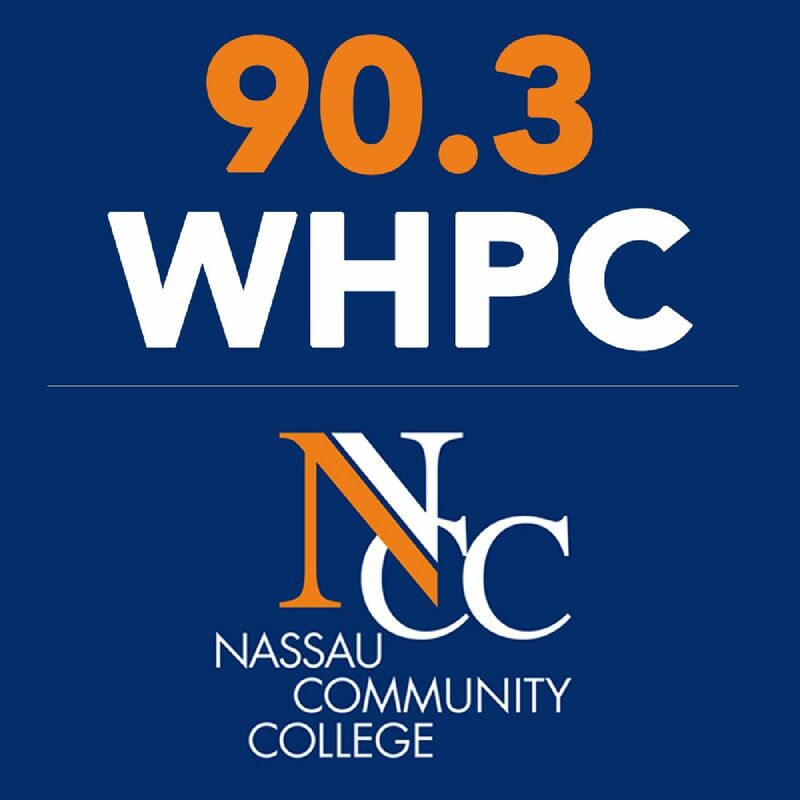 Rudy is currently the Director of Development for the Nassau Community College Foundation. Rudy also serves as the Vice President of Programming for Strong Island Television, an internet-based entertainment network headquartered in Massapequa, NY, where he hosts a live weekly show entitled "Rudy's Room" Wednesday nights at 10 pm. He is also a Community Volunteer for WHPC! Rudy joins Natasha Nurse on Our Voices to share how to build your personal brand in media. Shaquan Hoke, Founder and CEO of Beyond A J.O.B. Inc. - Career and Job Readiness Services, is an author, inspirational speaker, and training facilitator with over ten years of Professional Business Experience, Recruitment, Development, Sales and Job Readiness. Her company provides assistance in attaining the tools needed to gain employment or to map out a professional career, personal and business leadership coaching, inspirational speaking and leadership training to organizations across the world. Shaquan has completed her first solo book, “Beyond A Job: Seven Steps to Create & Move Into Your Vision,” which details her transition to true freedom through the application of Prayer. Shaquan joins Natasha Nurse on Our Voices to share the keys for finding career success. Patricia Birch is an attorney, model and floral design enthusiast, whose intention is to empower and uplift the marginalized and deconstruct mental limitations. Her work as an attorney encompasses social services policy and employment and labor matters. As a model, Patricia’s intention is to represent an alternate view of beauty that is body positive. As a floral design enthusiast, she demonstrates to herself and others that following your creative passions is a worthwhile pursuit. Patricia joins Natasha Nurse on Our Voices to share how to pursue passions.More info can be found at https://linkedin.com/in/pbirch/. Stephen A. Hart is the Founder of Isles Media, LLC and creator of Brand You Academy™. His passion is to guide people through the steps to build, market and grow their own amazing personal brand. Stephen is also the host of Trailblazers.FM™, the #1 podcast that interviews today’s successful black professionals. His podcast has been downloaded more than 130,000 times in 110 countries and he is one of the most dynamic speakers on the topic of personal branding. Stephen joins Natasha Nurse on Our Voices to breakdown what it takes to create the brand you want. Kim Nario is a Virginia-based second generation Filipino American. She grew up in Virginia Beach and relocated to Richmond, to attend Virginia Commonwealth University to study theatre and creative writing. Since leaving VCU, Kim has made it a goal to work only for local businesses or non-profits. Because of this, she has been able to add some much-appreciated variety to her work environment. Earlier this year, she became a member of the Coalition Theater, where she performs with the house team, Resident Ghost. Kim joins Our Voices to discuss her role as a Feminist Camp Facilitator at Soapbox, Inc.
Kim Nario: Why Is Feminism Important? Actress & Career Coach Bethany Kay got her wit from thirteen years of Catholic school, her smirk from her Jersey family, and her curves from a very healthy love of her mom's tortellini with lemon cream sauce. When she's not working on shows like Boardwalk Empire, Difficult People, Gotham, and as the scene-stealing embodiment of body positivity Janice on Dietland, she is probably creating some devised theatre and clowning projects with friends. Bethany Kay joins Our Voices to share her real world wisdom as a plus size actress. Tiffany Jenkins is the funny lady behind “Juggling the Jenkins.” She has 2.4 million Facebook followers and counting! She is a wife, mother, author, content creator and recovering addict. Although best known for her funny viral Facebook videos, Tiffany is also incredibly passionate about bringing awareness to addiction and mental illness. She speaks shamelessly, openly and honestly about her past and addiction, as well as her struggles with depression and anxiety. Tiffany joins Natasha Nurse on Our Voices to share her story and message.